The Fourth of July is this weekend and it’s time to celebrate! 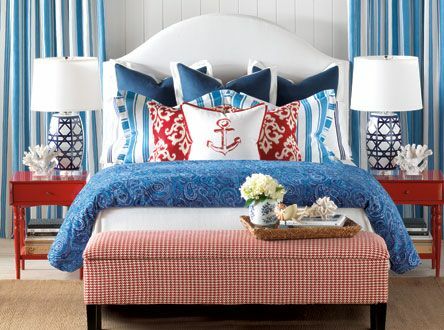 Get ready to decorate in red, white and blue! Nothing shows your patriotic spirit like a fun BBQ, family and fireworks on the Fourth! 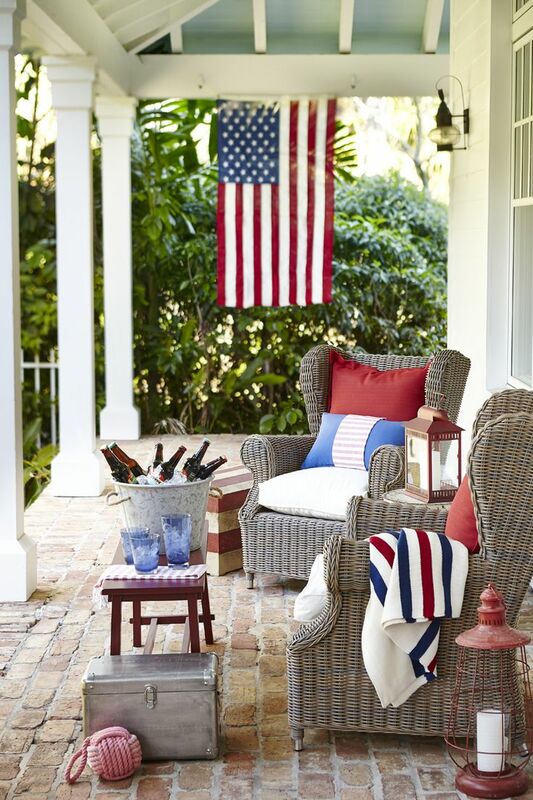 If you’re hosting this 4th, it’s only natural you get out the red, white and blue decor. It’s fun, festive and exactly what this weekend’s about. 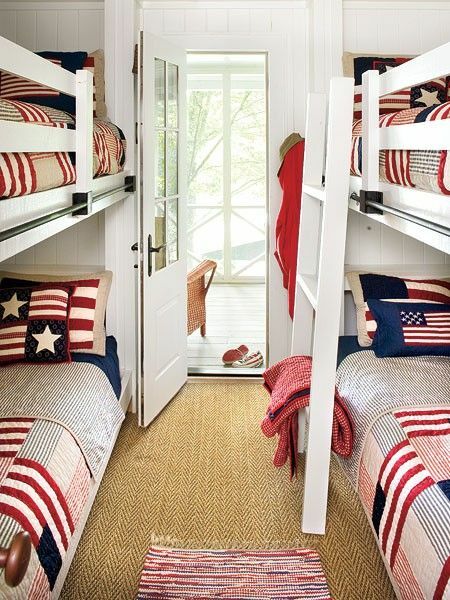 Deck out the backyard and create an amazing space for your family and friends to enjoy Independence Day. Wave your flags high and be proud to be an American this weekend! 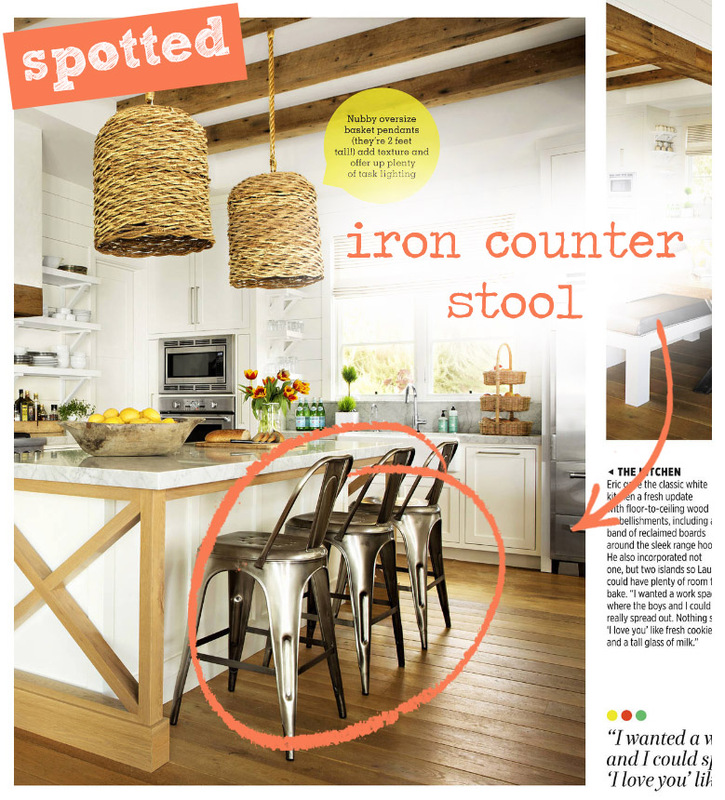 Found a set bar stools that look familiar in this month’s Country Living! Yes, we’re talking about the iron counter stool and it’s the perfect addition to any coastal kitchen. It offers you the perfect high seating for your island or bar and adds a great design piece that serves a purpose. 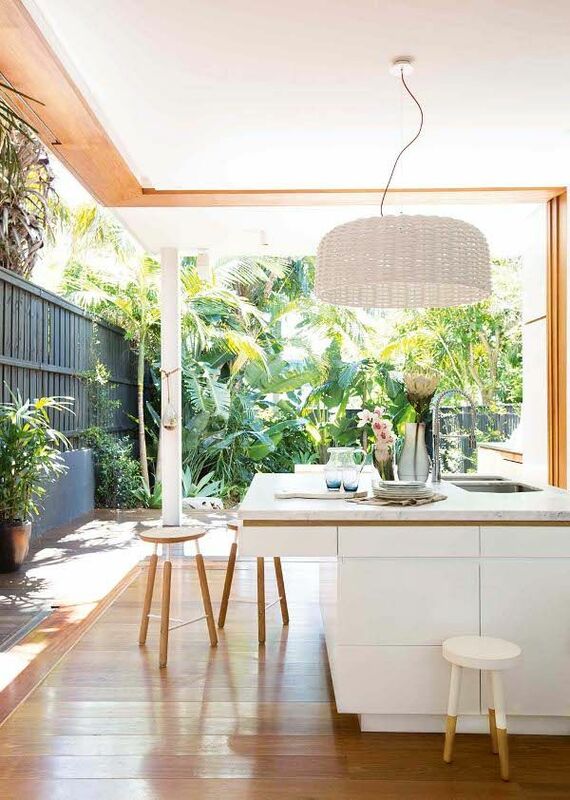 Their simple, metal design also allows the piece to compliment the space without being a large or intrusive eye soar. 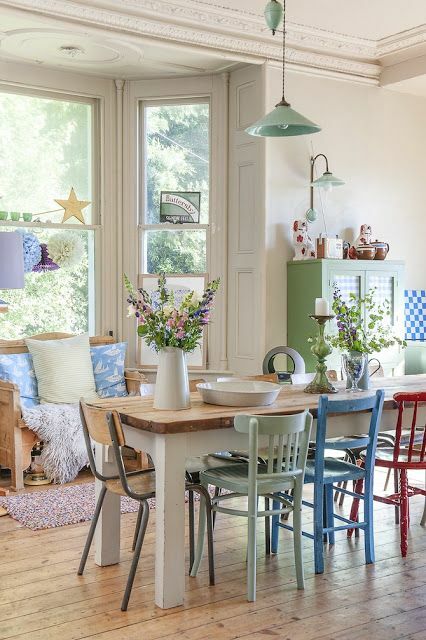 So pick up the latest Country Living to see this beautiful kitchen they’re featured in and head over to our online store here to add this iron counter stool to your kitchen today! Happy Friday! It seems like the colors come out when the sun comes out. Summer is a good time to bring out the bright colors and bold patterns. It fits the mood and the summer vibes which we’re all about. Use bright blues, reds, greens, oranges and every other color you could want! 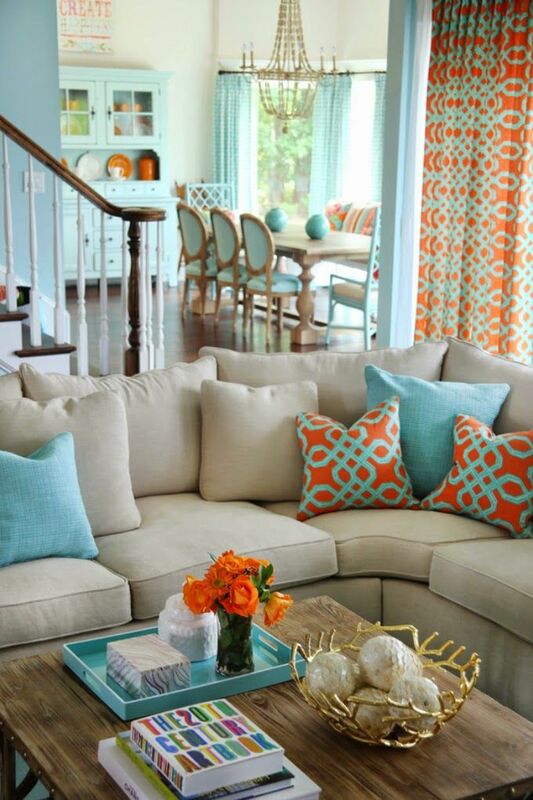 There’s no holding back when it comes to fun colors or patterns and why not let the decor reflect that! 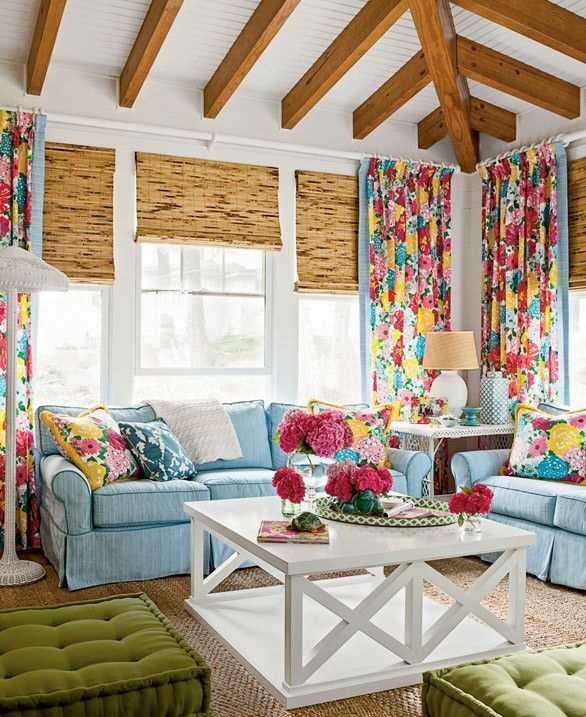 Check out how these designers use bright colors and bold patterns to design these spaces. 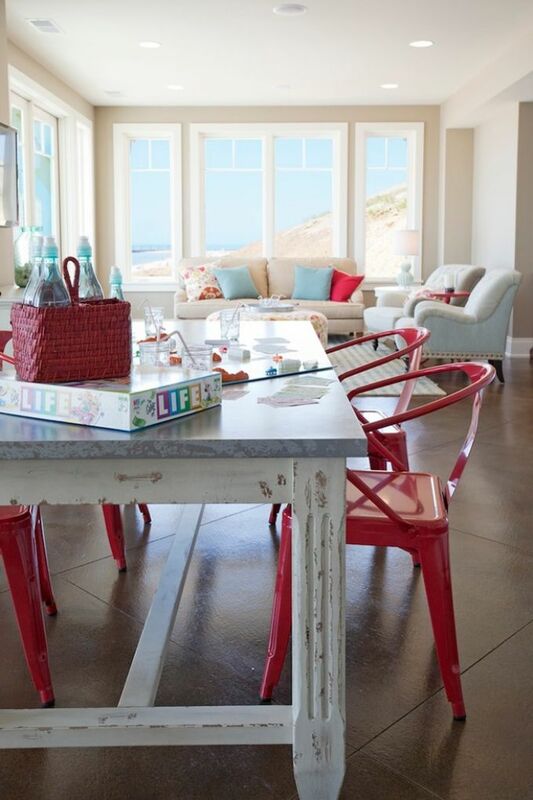 Get inspired and have fun with color in your home! 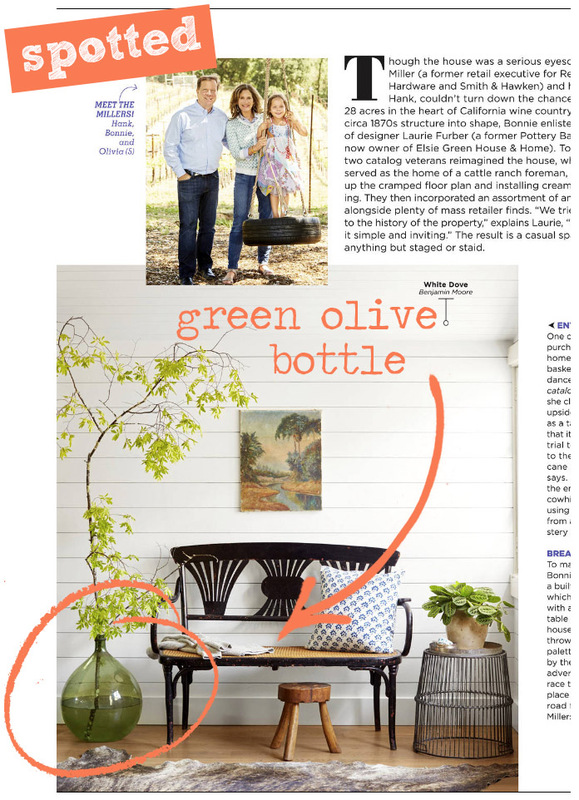 We found one of our all time favorite pieces in the latest issue of Country Living! This is not the first or last time you will see this bottle on our blog. Seriously, it’s been spotted before. 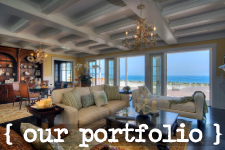 We love it and how perfectly it works in coastal design. 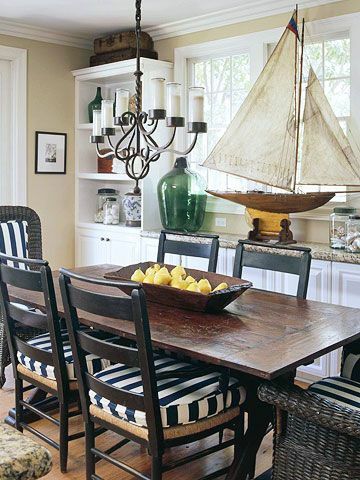 It’s an easy piece to decorate with because it embodies the coastal style in so many ways. Add one of our favorites to your home! Pick it up on our web store here! If you’re looking for a simple, modern table then there’s no need to look any further. 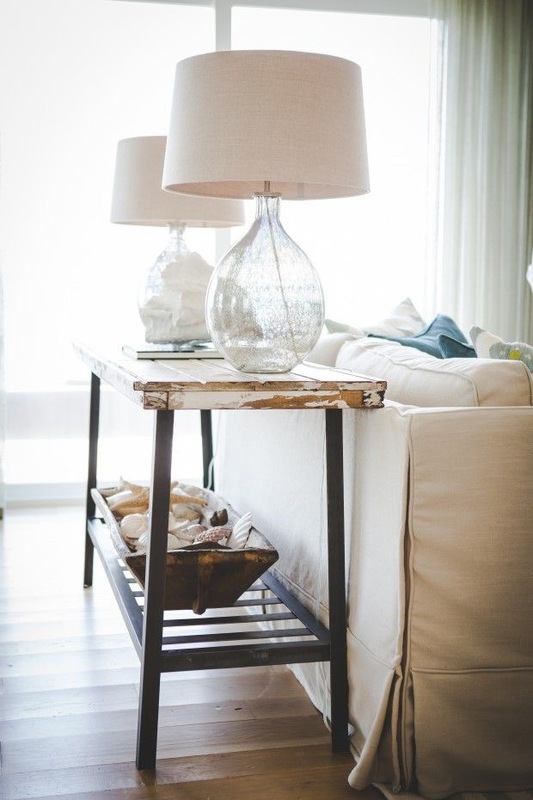 These metal base, wood topped tables are perfect for any coastal style. 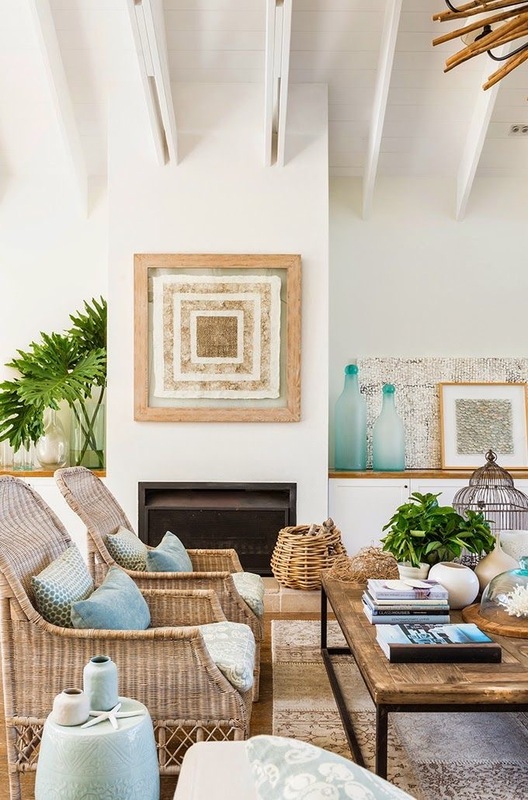 They effortlessly fit into a modern coastal home, but they can easily blend in a cottage style as well. The clean, minimal metal lines that make up the base of the the table provide the frame for the rustic, weathered wood top. 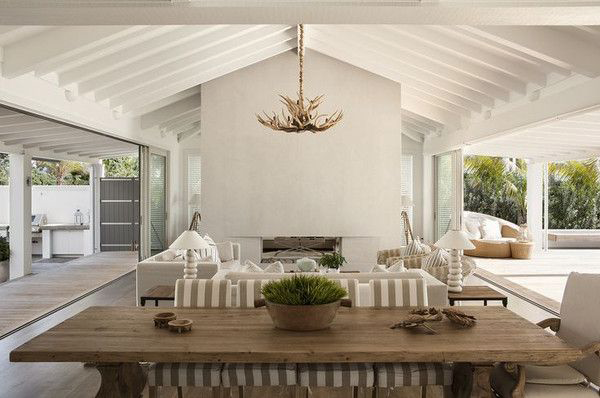 The wood top gives great texture that adds depth to any space. 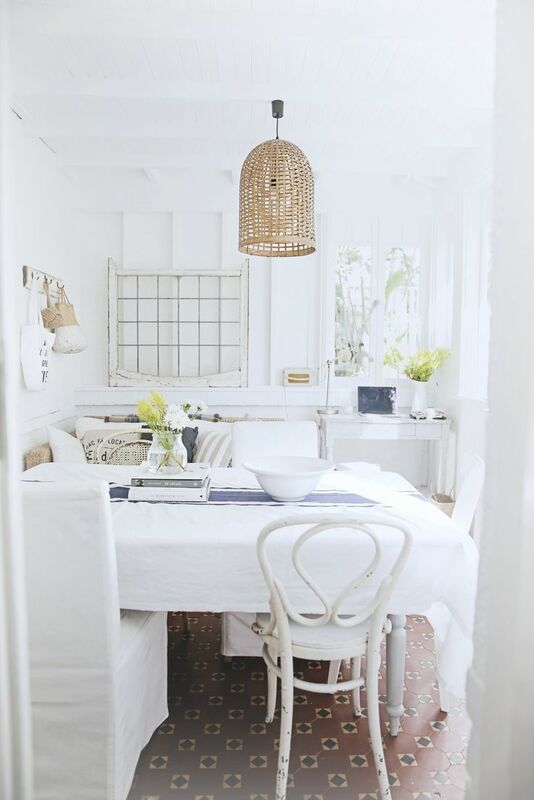 Check out some of these spaces that use these tables and see how these designers used them in the room. 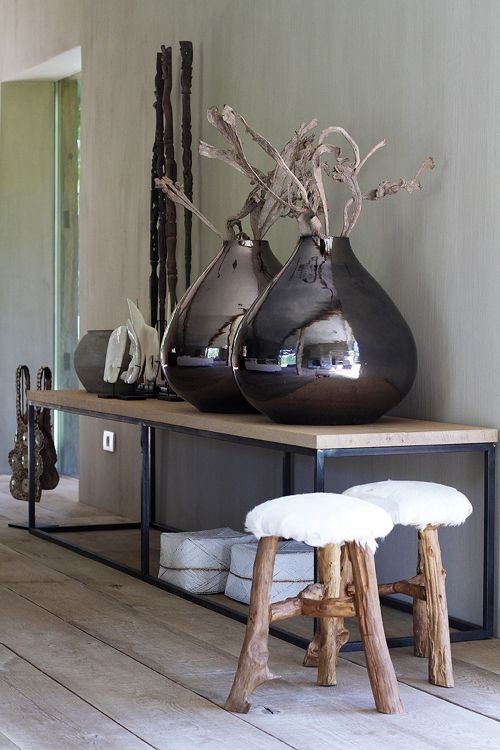 Want to add one of these metal base, wood topped tables to your home? Check out a few options on our online store here! When the sun is out there is a good chance you want to be outside. One very important part of enjoying being outside is having a comfortable place to sit and enjoy it. Cue the outdoor seating and furniture. 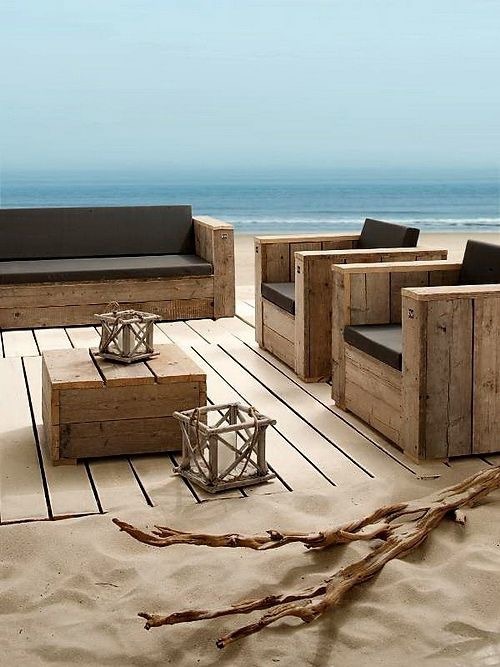 When looking for outdoor furniture you need to look at what kind of material it’s made out of. 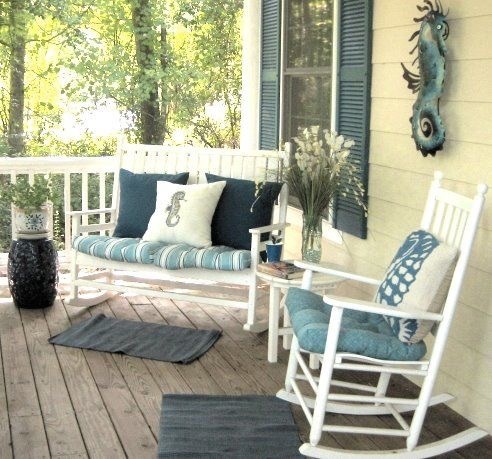 This furniture is going to spend the entirety of it’s life outside. It needs to be able to take on the elements. That means we’re talking metals, cedars and teak. Other woods work as well such as oaks and eucalyptus, but they aren’t as durable. 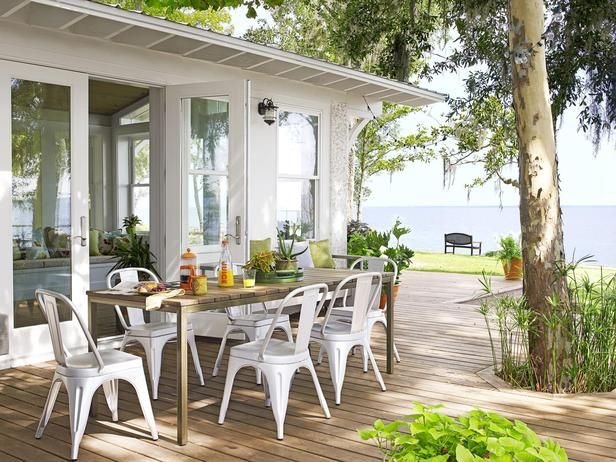 We’re looking to get the most out of our outdoor furniture. We don’t want it to rot or fall apart after a couple seasons. That means shop for quality pieces. If it’s inexpensive and cheap there’s probably a reason for that. Save and invest in quality furniture for you and your family to enjoy when the sun is shining! 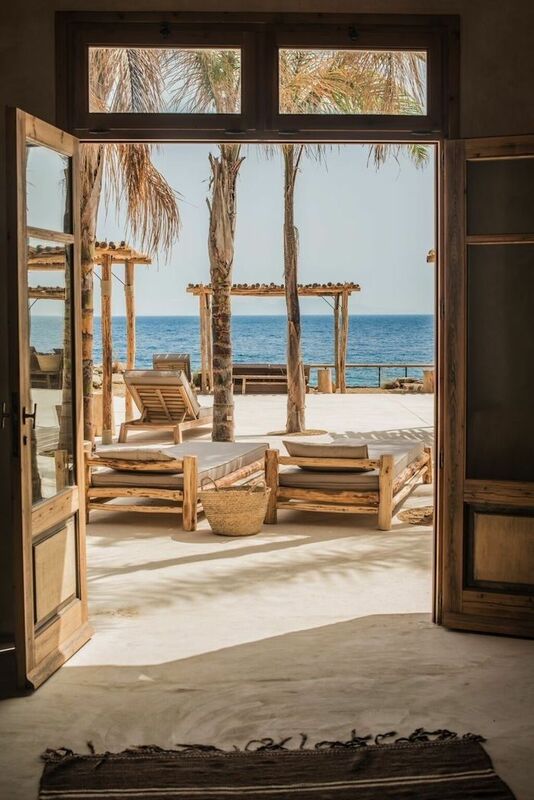 Open the windows and open the doors, it’s time to let the fresh air in! Enjoy the summer breeze and the sunshine this weekend. 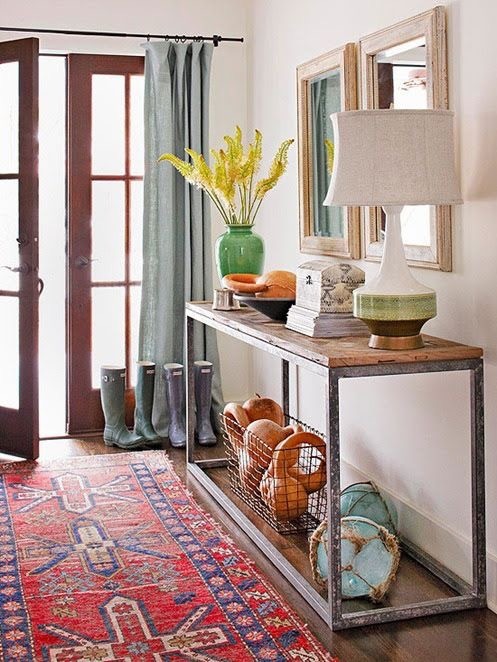 Try opening your home to Mother Earth and let her bring life into your home. We’ve gathered some great images we hope inspire you to let the sunshine and fresh air in over the weekend. Take notes, start pinning and pad those Pinterest boards ladies and gentlemen! Most importantly, enjoy your weekend! Want more coastal pins and decor? Check out our Pinterest here! Give us a follow and pin away! Look what we spotted in this month’s Country Living magazine! While flipping through we came across the “Blue Ribbon Kitchen” featuring the metal electric arrow sign with lights! 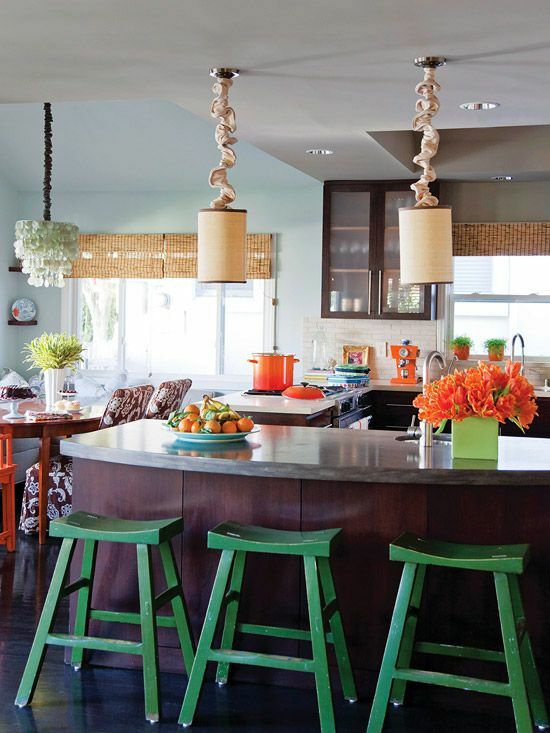 This bright and bold kitchen is decorated with all kinds of fun pieces and filled with lots of charm. 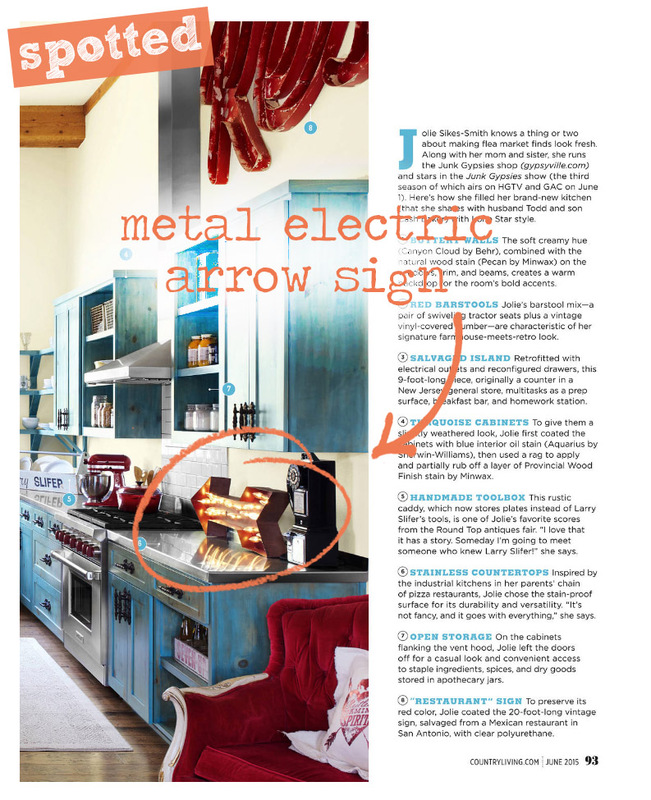 Pick up this month’s Country Living to see more of the kitchen, but head over to our web store to buy the metal electric arrow sign here and add it to your kitchen today! Happy Friday! 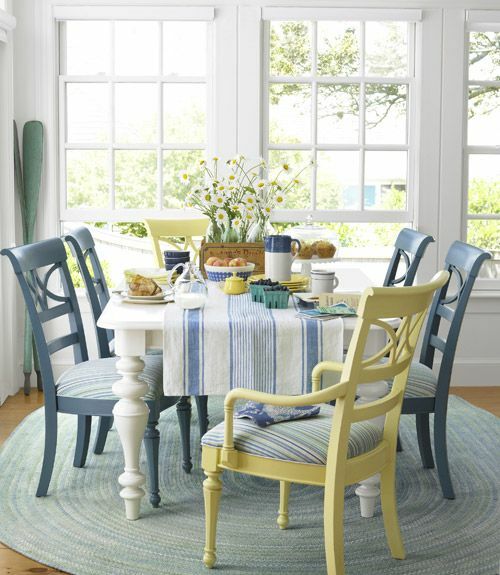 Bring a little color into your dining room with colorful chairs. 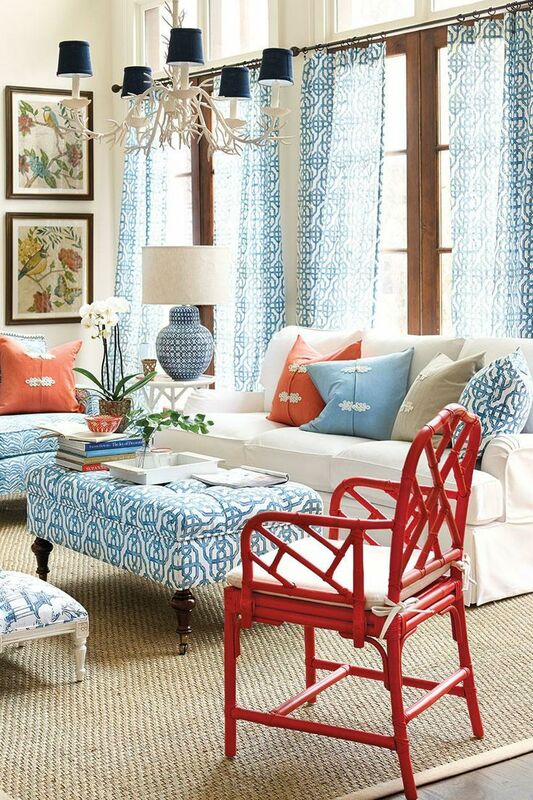 Go bold with bright colors that stand out as accents in the space or use softer colors that compliment the decor. 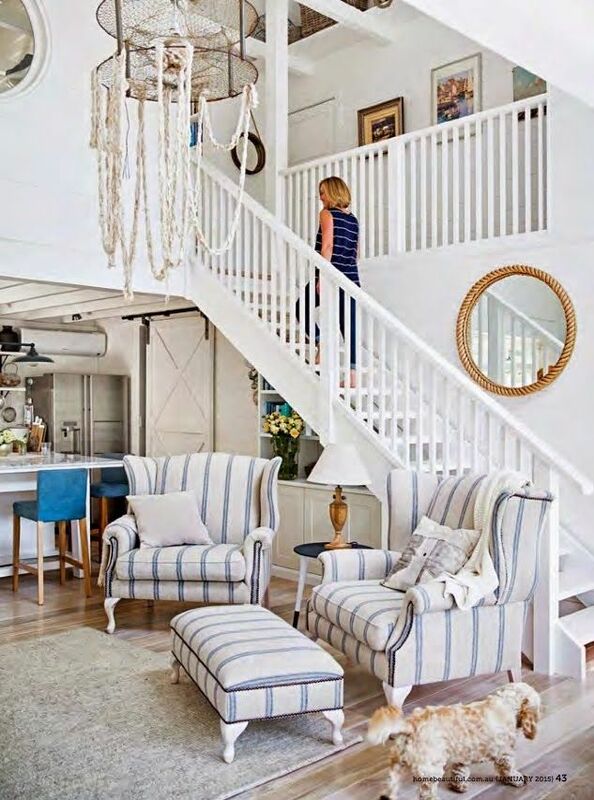 You can even mix and match chairs or colors for a unique look. 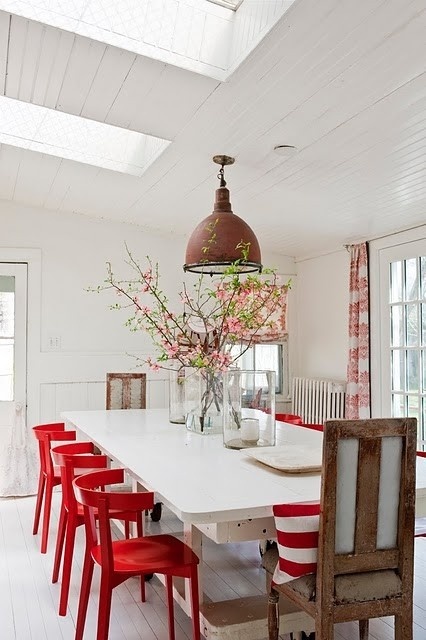 There are many ways you can bring color into your home and dining space with your chairs. 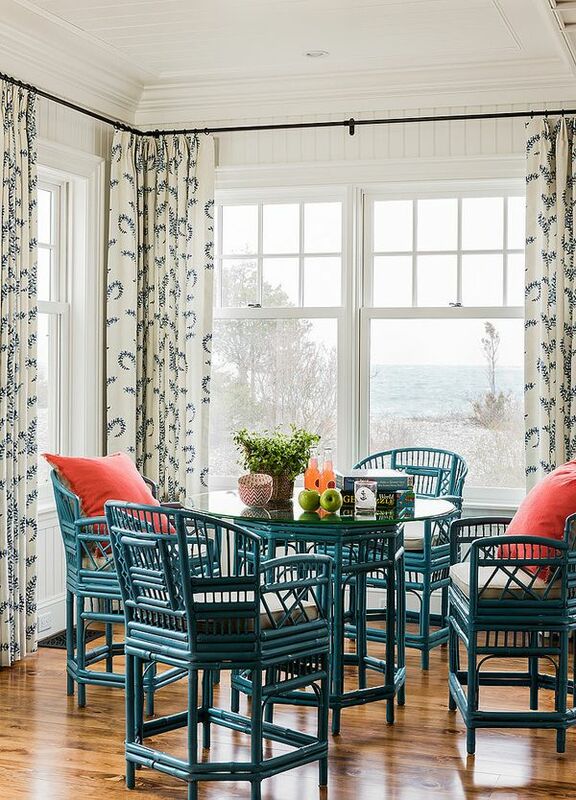 Check out how some of these designers are using colorful chairs to bring color and style to the dining room. 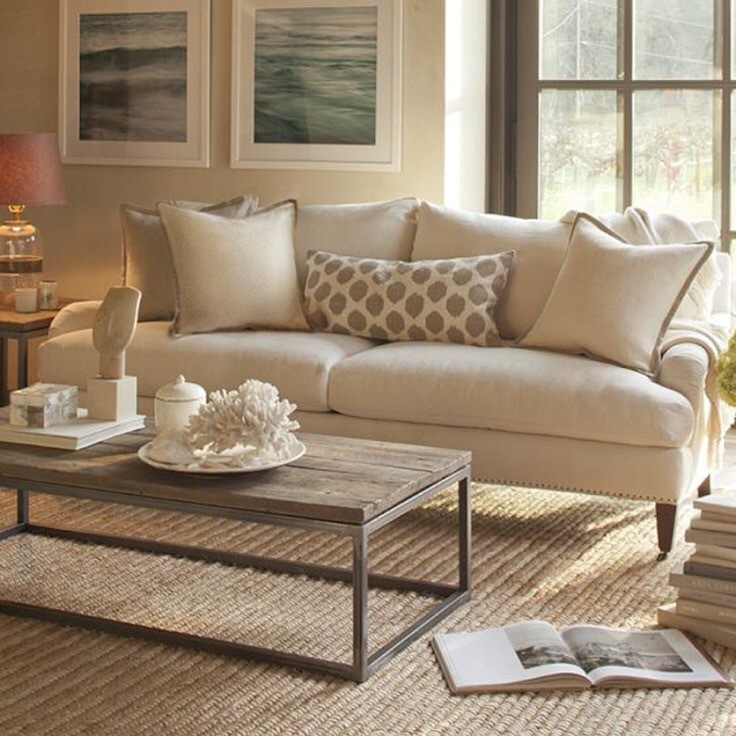 Take notes, get inspired and change it up in your home. 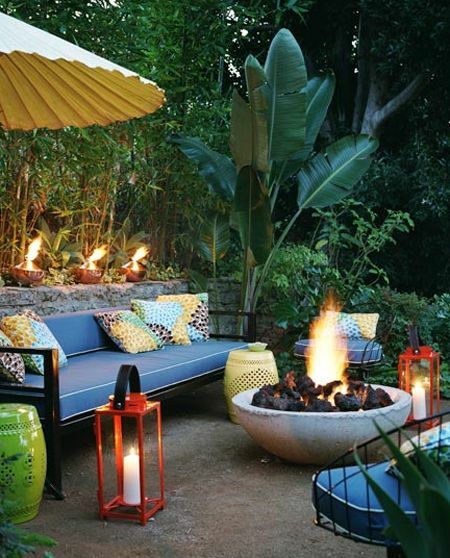 With summer in full swing it’s time to consider setting up a fire pit if you don’t have one in your backyard. 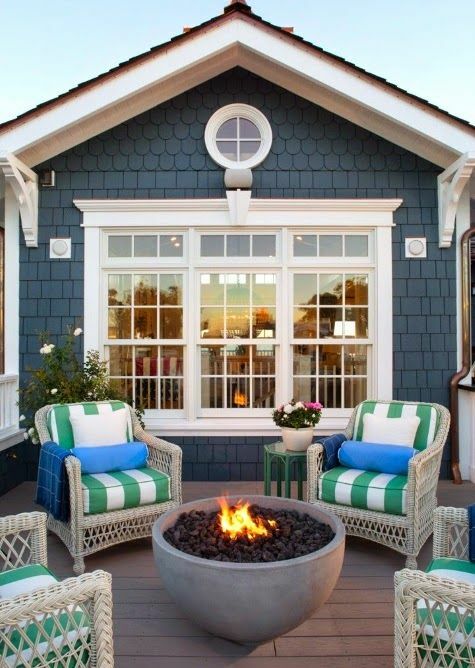 It’s a great place for the family to gather and spend the summer nights together. If you don’t have one, we’ve got three tips to help you get started. So keep reading and let’s make that fire pit happen this summer! 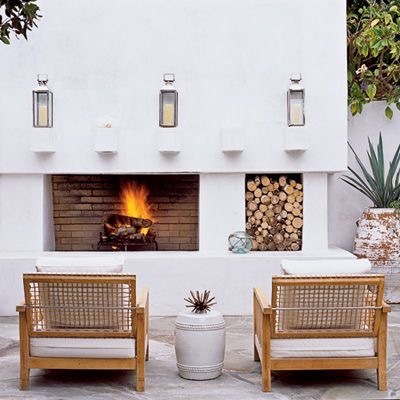 First things first, find out what the rules and regulations are for a fire pit in your area. You might be in an area that has a high fire alert during the summer season which means strict laws or regulations, other areas are more relaxed. Safety first when it comes to fire and there’s no reason to risk it. 2. Built In or Portable. 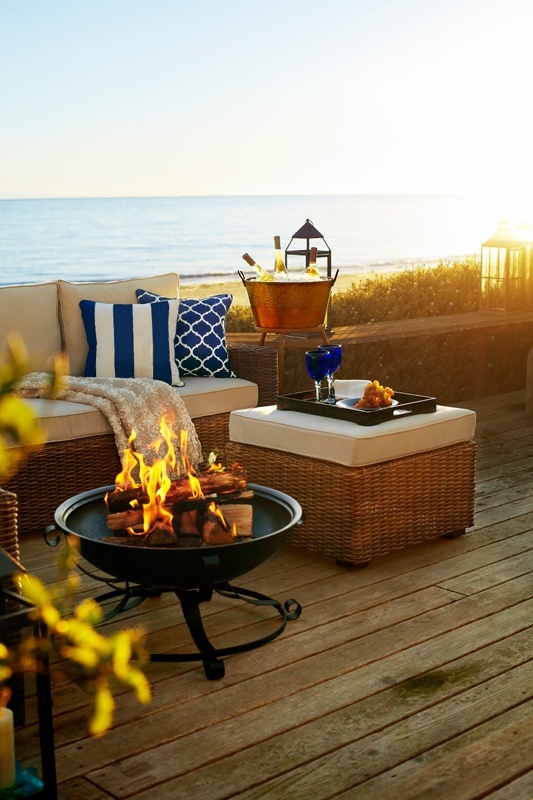 After you find out what the rules are for your new fire pit it’s time to decide how you want to go about it. Do you want to build a permanent installation or do you want something you can move around and store during the off seasons? With both styles there are pros and cons. Some things to consider are price, style and size. Last, but definitely not least, you need to pick your location. 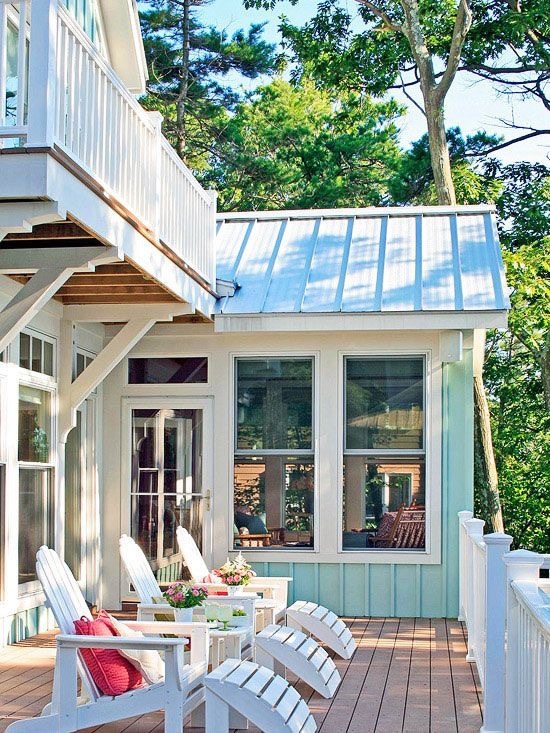 This needs to be your favorite spot in your backyard. 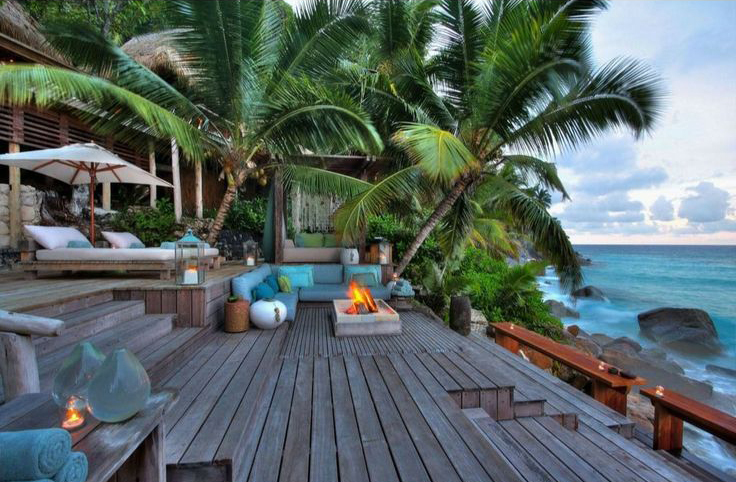 Maybe a spot with a view? Maybe a spot with lots of space? 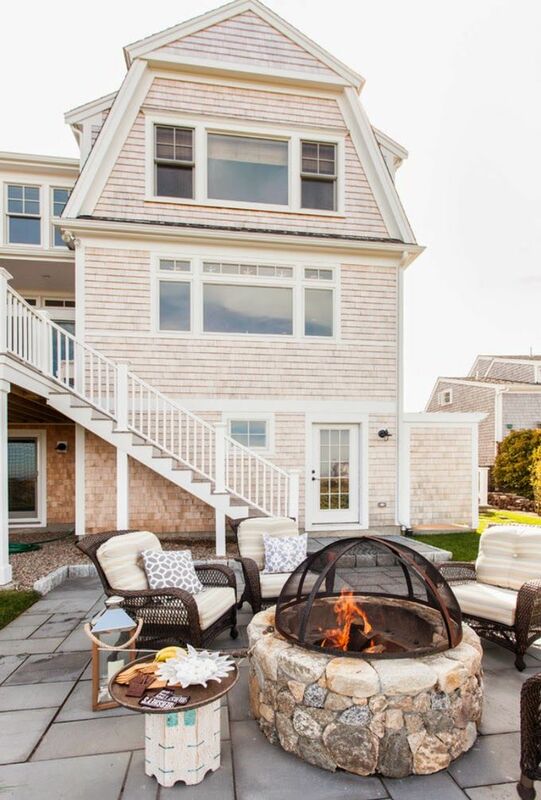 Pick your spot, set up your fire pit and then break out the marshmallows while you enjoy the summer nights around the fire.